I am sure at one time or another, if not daily, patients ask us the question of “What’s the best shoe for me?” Depending on one’s personality and willingness to talk, this could turn into a rather long discussion with your patient. Over the course of my 10 years in practice, this discussion has evolved to inform what I now advise my patients. The literature has never really directed us in one direction or another in regard to a shoe selection paradigm. 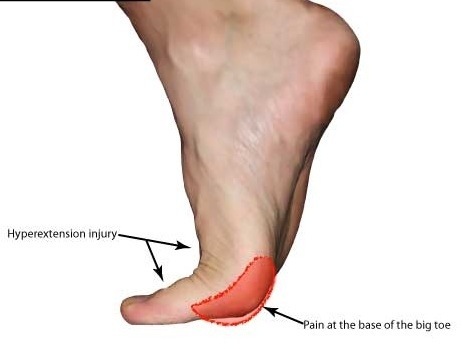 The course of history has shown that the shoe industry has devised the past paradigm of creating shoes for a flat foot, normal arch or high arch. While this has never been scientifically proven, most podiatrists throughout the world accept this paradigm. In regard to the newest category of shoes described as “minimalist,” many have called it a craze that is fading. Whether this “craze” is fading or not, the industry has shifted into creating shoes that no longer fit the old shoe selection paradigm. If you were to pick up the majority of running shoes in a specialty running shoe store, you would see these shoes have an increased ability to flex throughout the midsole. We can argue the facts as to whether shoes with flexible midsoles are minimalist shoes but in reality, it does not matter. The running shoe has now evolved into a more flexible shoe with mild cushioning and less motion control. When patients ask me this popular question, I try to keep my response simple. Our feet were not made or meant to be in shoes. Contrary to what most people believe, history has shown us that prior to the 1970s, the running shoe as most folks know it today did not even exist. In that era, people were still breaking four-minute miles and running marathons in times of two hours and 20 minutes or faster. I don’t think shoes are making people faster nor do I feel they preventing injury. Instead of focusing on what shoe one should be wearing, I try to educate my patients on strengthening their feet and not relying on a shoe. Of course, this statement is general and does not hold true with every patient. Obviously, there are some jobs and careers that require people to wear certain shoe gear. I have to point out to these individuals that given their shoe requirements, their injury may not be 100 percent fixable. In other words, their shoes may be forcing them to walk and function in an unnatural way, which is leading to their ailment. Fashion also plays a role in selecting shoe gear. Most dress shoes for females will place the foot in a plantarflexed position as a result of the high heel and force the toes into a narrow toebox. As for runners, I tend to lead them in the direction of focusing on training patterns, training intensities and obtaining natural form. I try not to use the term “perfect form” because forms vary given each patient’s body and biomechanical structure. I advise patients not to change their biomechanics but rather to use their biomechanics the way they are and allow the body to adapt. For runners who are looking for shoe advice, I instruct them to find a shoe that allows them to run as opposed to enabling them to run. The shoe should be comfortable, extremely flexible and created in a manner that allows the foot to move the way it was intended. However, I make it a point to educate my patients not to rely on a shoe. The challenge is getting patients to understand this in a simple and time efficient manner. As always, my discussion evolves each time I have it. Really nice to see someone looking at the other side of ‘what’s the best running shoe’. I’ve kind of held this opinion as well, that the human foot was not made for a shoe and has survived without one for millenia. In spite of this being common knowledge, modern advertisments are proposing the idea that their shoe makes us nearly superhuman, because of ‘special design’. I’ve also had quite a bit of issues with my flat feet, as (just like you mention) they are a special circumstance where shoe support is pretty much required so I can do any running at all. I was at a stalemate at the time, not knowing what to look for in a flat feet running shoe. Finding one that would not only allow me to run but provide good support as well was essential. I was pretty lucky to come across this resource http://happyrunningfeet.com/the-best-running-shoes-for-flat-feet-3-critical-tests/ It basically outlines what a good running shoe for flat feet should have, what qualities it should posses. I hope this alternative answer to ‘what shoe should I wear was useful, especially with the number of people suffering from flat feet these days. Thank you! And thanks for linking and mentioning my site! I read though yours and will add to my blog list on my blog. Great work!
. But it is the best of all. Thanks for writing this. I really appreciate your writing. Thanks for the recommendation! You had me at light, cushioned and roomy. I’ve been curious about Hoka, so I’ll definitely check them out!